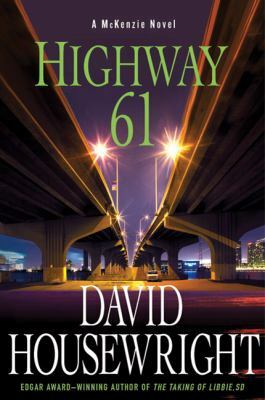 The eighth book of David Housewright's mystery series featuring cop turned unlicensed PI Rushmore McKenzie finds Mac being asked for help by a man he'd rather not help: Jason Truhler, the ex-husband of Mac's girlfriend, Saint Paul jazz club owner Nina Truhler. At first Mac does not look at Jason when he asks what he wants. Instead, he looks out the window at Jason and Nina’s daughter Erica feeding the ducks which live in the backyard pond of Mac’s Falcon Heights home. Jason tells Mac he wants his help, but McKenzie does not turn from the window for the longest time even though it was Erica (whom McKenzie likes) that told her dad he might be able to help him with a problem he has been having lately. Finally, McKenzie relents and lets Jason tell him what the problem is. Turns out it is blackmail to the tune of nine thousand, nine hundred and eighty dollars, a jam Jason says he got into during a trip to a jazz festival up in Thunder Bay, Ontario, Canada, where he wound up getting accused of murdering a young woman he says he met at the festival, something Jason insists he did not do. When he is done with his story, McKenzie smells foul play but not necessarily murder. In fact, it smells like a scam, and when Mac reluctantly looks into it at first that is what it seems like: a fake murder for means of extortion. But if that is all there is to it, who put cocaine inside the spare tire of McKenzie’s Jeep Cherokee during his snooping around Thunder Bay, and who are the perps who later break into his garage back in Falcon Heights who frisk where the coke was stored not knowing McKenzie had flushed it away in a Thunder Bay car wash? And just where do the vicious pair of drug smuggling brothers known as “the Joes” fit into the whole picture, especially when they confront Mac in the parking lot of Nina’s club and leave swearing they will get Mac after he turns the tables on the duo and thrashes them both? And why did Jason lie to him about making reservations for two prior to his trip to the jazz fest? And who are the perps who ambush McKenzie while he is tailing a Metro Transit bus through Saint Paul that has a kid carrying Jason’s latest ransom payment aboard wrecking Mac’s prize Audi in the process? Finally, where does a wealthy Twin City power broker fit in with all of this, especially when he is trying to protect a local madam whose operation Mac has stumbled upon all thanks to Jason being a client of her girls? Questions like these (plus many more) will keep the pages turning if you read this second to latest entry in David Housewright’s Rushmore McKenzie mystery series.